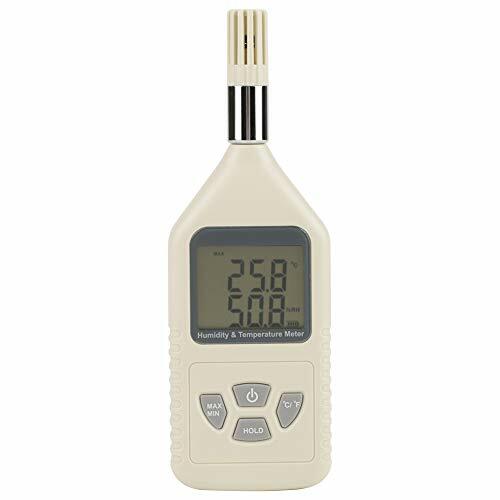 This is a professional handheld meter that can measure both humidity and temperature. Designed with large LCD display that can shows humidity and temperature at the same time. It supports maximum/minimum reading, and data storage function. Temperature unit is switchable between ℃ and ℉. LCD display has backlight function for convenient reading. The meter also has low battery indication function.